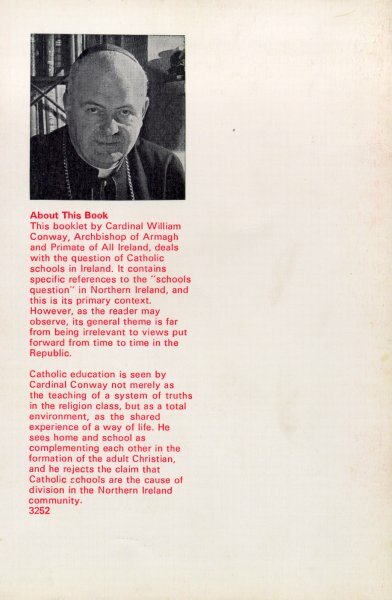 Cardinal William Conway, then head of the Catholic Church in Ireland, published a pamphlet on the topic of segregation in education in Northern Ireland. Sean Russell (30), an off duty member of the Ulster Defence Regiment (UDR), was shot dead by members of the Irish Republican Army (IRA) in his home in Ballymurphy, Belfast. A British soldier died found days after being shot in Belfast. The Irish Republican Socialist Party (IRSP) was formed following a split within the Official Sinn Féin (OSF). Among its leading members were Séamus Costello, leader of the IRSP, and Bernadette McAliskey, a former Member of Parliament (MP). 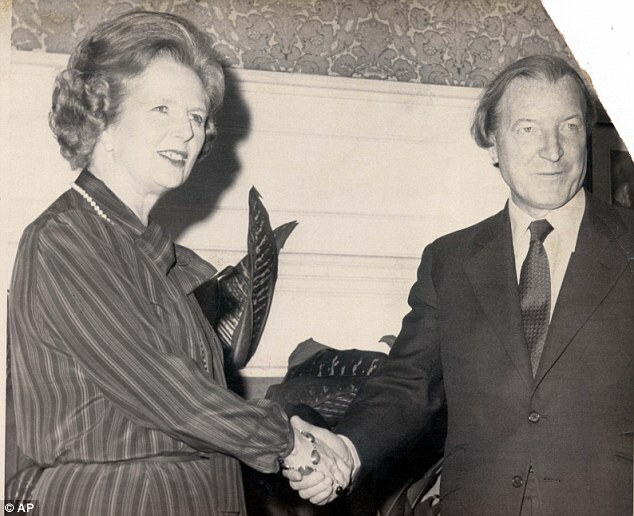 British PM in Dublin Summit Meeting A senior British government team comprised of Margaret Thatcher, then British Prime Minister, Lord Carrington, then Foreign Secretary, Geoffrey Howe, then Chancellor of the Exchequer, and Humphrey Atkins, then Secretary of State for Northern Ireland, went to Dublin for talks with Charles Haughey, then Taoiseach (Irish Prime Minister), and senior members of the Irish government. It was agreed at the meeting to conduct joint studies on a wide range of subjects. [This represented the first visit to Dublin by a British Prime Minster since partition in 1921. The phrase ‘totality of relationships’ was first used at this meeting. However it was later revealed that the constitutional position of Northern Ireland had not been discussed at the meeting. William Whitelaw, then British Home Secretary, imposed a banning order on Gerry Adams, then Vice-President of Sinn Féin (SF), and Danny Morrison, then a leading member of SF. The order was imposed under the Prevention of Terrorism Act (PTA) and meant that Adams and Morrison could not enter Britain. The two men had received an invitation from the Greater London Council (GLC) to go to London for a series of meetings. The Fair Employment Agency (FEA) found that Catholics were under-represented in the higher levels of the Northern Ireland Civil Service. The Irish Republican Army (IRA) exploded a number of incendiary devices in shops in Blackpool and Manchester, England. Paul Devine (35), a Catholic civilian, was shot dead by the Irish Republican Army (IRA) in Claremont Street, off Lisburn Road, Belfast. A soccer team based in west Belfast withdrew from an Irish Cup match against a Royal Ulster Constabulary (RUC) team. The withdrawal came after a ‘strong recommendation’ from Sinn Féin (SF) representatives. Bertie Ahern, then Taoiseach (Irish Prime Minister), made a visit to Northern Ireland. In west Belfast Ahern was greeted by Gerry Adams, then President of Sinn Féin (SF). Ahern also visited Belfast City Hall where he was greeted by the Social Democratic and Labour Party (SDLP) mayor, Alban Maginness. This was the first visit by a Taoiseach to Belfast City Hall. The Taoiseach also made his first visit to the multi-party talks at Stormont and seemed to have healed a recent rift with the Ulster Unionist Party (UUP). In Dublin a group of Republicans launched a new organisation called the 32 County Sovereignty Committee. One of the most prominent members was Bernadette Sands McKevitt, a sister of Bobby Sands who died on hunger strike on 5 May 1981. The new Committee opposed the stance of Gerry Adams on the peace process. [Later a number of commentators were to associate the Committee with dissident Irish Republican Army (IRA) members who formed the ‘real’ IRA. A leaked Northern Ireland Office (NIO) report shows that the number of families being forced to leave their homes because of intimidation is at its highest level since 1973. 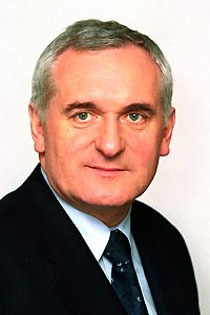 Efforts to find agreement on the setting up of departments and the North-South Ministerial Council continued in Dublin and London, as Bertie Ahern, then Taoiseach (Irish Prime Minister), warned that slippage beyond Monday 14 December 1998 would be “an awful mistake”. In Washington President Clinton urged Northern Irish politicians to move the peace process forward, reminding them they should “obey not only the letter of the Good Friday Agreement but its spirit as well”. Gerry Adams, then President of Sinn Féin (SF), called a press conference to reveal that a car he used during the review of the Good Friday Agreement had been bugged. He said: “I feel shafted by the discovery of this”. Tony Blair, then British Prime Minister, declined to comment on the matter. 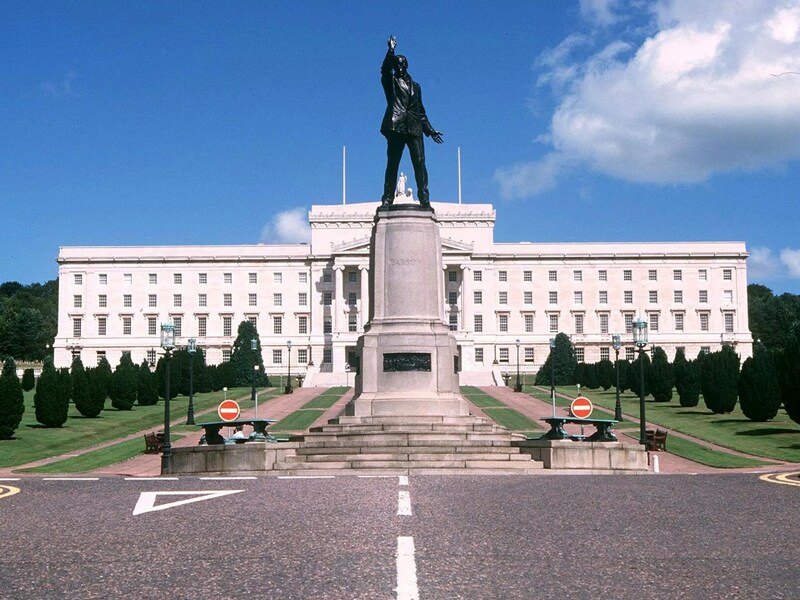 The Northern Ireland Assembly Committees met for the first time at Stormont, Belfast. Samuel McBratney (42), a “computer expert” from Ballycraigy Ring, Larne, County Antrim, appeared before the high court in Belfast. 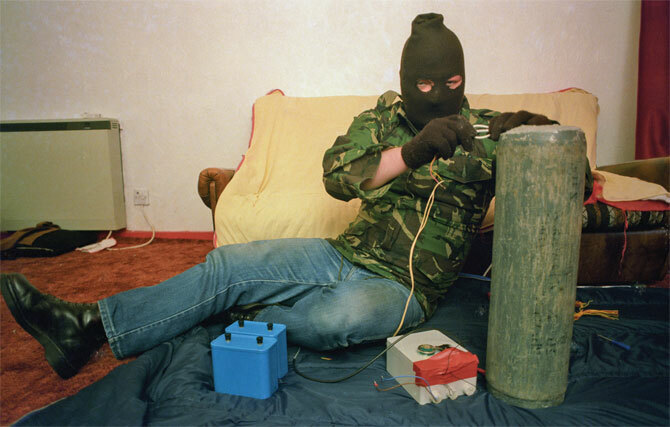 McBratney was alleged to have helped Loyalist paramilitaries make pipe-bombs by downloading bomb-making information from the Internet. 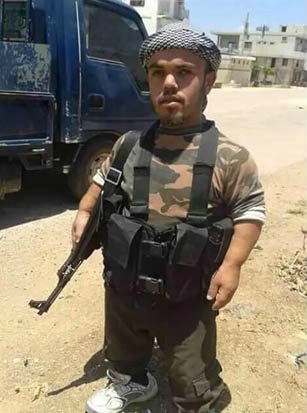 In addition to possessing incriminating computer records he also faced charges of possessing pipe-bomb components and of having four devices with intent to endanger life. A crown lawyer said police carried out a planned search of McBratney’s home last May and seized computer records, books and literature about making bombs, parts of pipe-bombs and 97 cartridges, the propellant used in the making of pipe-bombs. The Ulster Freedom Fighters (UFF), a cover name (pseudonym) used by the Ulster Defence Association (UDA), announced that it had selected five members to meet with the Independent International Commission on Decommissioning (IICD). The announcement was made at a press conference which was addressed by six masked men in a hall close the Shankill Road, Belfast. [The meeting took place on 10 December 1999.] David Trimble (UUP), then First Minister, was awarded the Legion of Honour by the French government at a ceremony in Paris. Robert Salters, then Grand Master of the Orange Order, was re-elected to the post. The Civic Forum held its 8th plenary meeting in Cookstown, County Tyrone. The meeting called for additional funding to be made available to tackled sectarian tensions across Northern Ireland. The American government announced that it would resume training officers from the Police Service of Northern Ireland (PSNI) following the suspension of the arrangements in 1999. The training had been suspended over concerns about the human rights record of officers in the Royal Ulster Constabulary (RUC). Any PSNI officers involved will have to be vetted to ensure they have not abused human rights in the past. The training will also include a component on human rights. Brendan O’Leary (Prof.), then a Professor at the London School of Economics, said that partition was no longer “an internationally approved instrument” in attempting to resolve territorial disputes. O’Leary was speaking at a conference convened by the Keough Institute for Irish Studies in the University of Notre Dame, Indiana. He said that Northern Ireland had been persistently unstable and the United Kingdom had suffered the highest level of internal political violence of any established European democracy. Off duty. Shot at his home, New Barnsley Crescent, Ballymurphy, Belfast. Died four days after being shot by sniper while on British Army (BA) foot patrol, New Lodge, Belfast. Died two days after being shot while on British Army (BA) mobile patrol, Whiterock Road, Ballymurphy, Belfast. Shot while travelling on bus, Castlereagh Street, Belfast. Shot at his shop, Stranmillis Road, Stranmillis, Belfast. Shot, while walking along Claremont Street, off Lisburn Road, Belfast.